You have a magnificent chandelier in the entrance and Livingroom area from the 20th century that has been hanging in a Hotel in Paris. 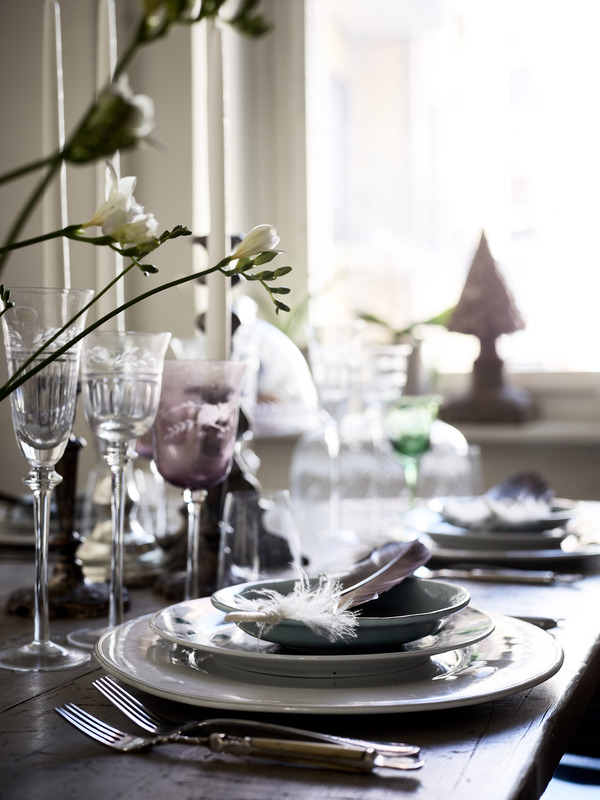 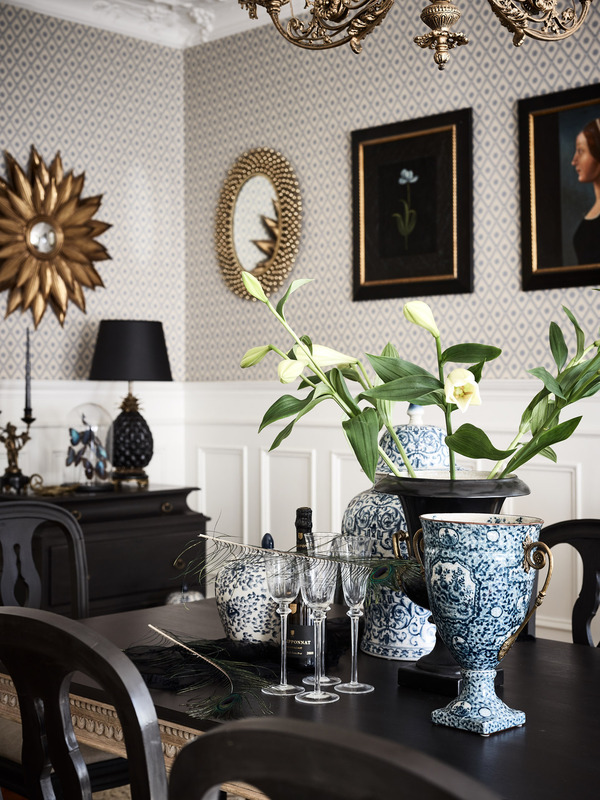 You have a large installation of blue & white ceramics from Danish G&C Interiors that enriches the fine dining room and opens for conversations about art and culture. 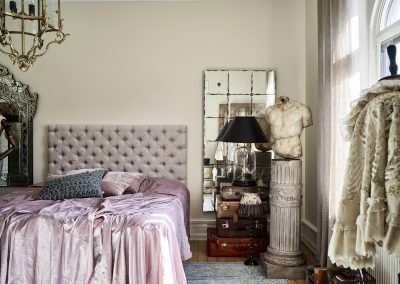 In the bedroom you find a male and female statue. 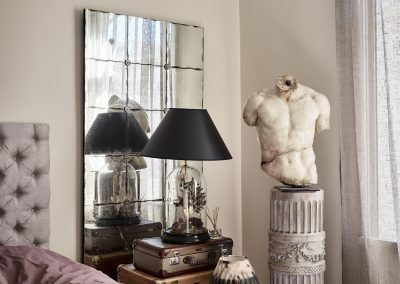 The male statue “Discophorus Torso” is the name of this interior project and storytelling concept. 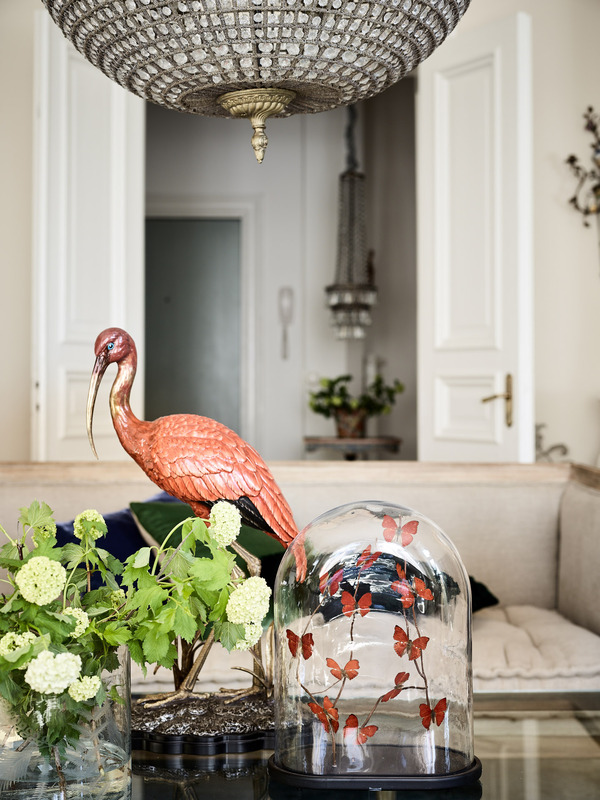 He proudly stands opposite the woman and beside a pile of suitcases and glass bowl of a handwritten letter and butterflies. 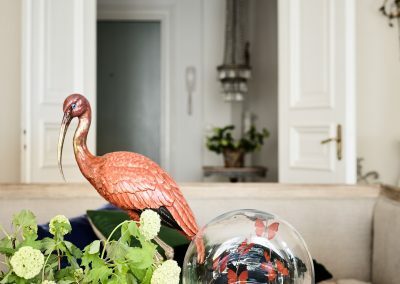 It´s a wonderful installation of symbolic objects and the interpretation completely depend on the individual perception. 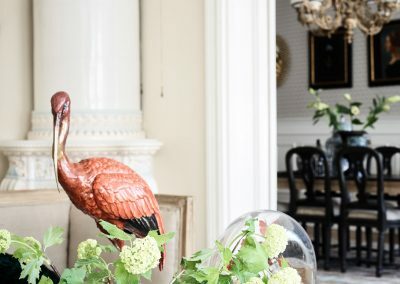 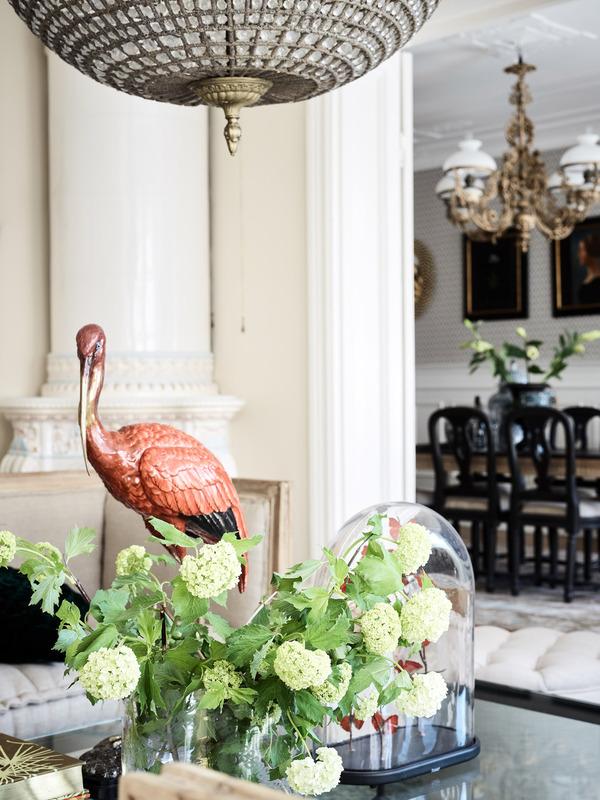 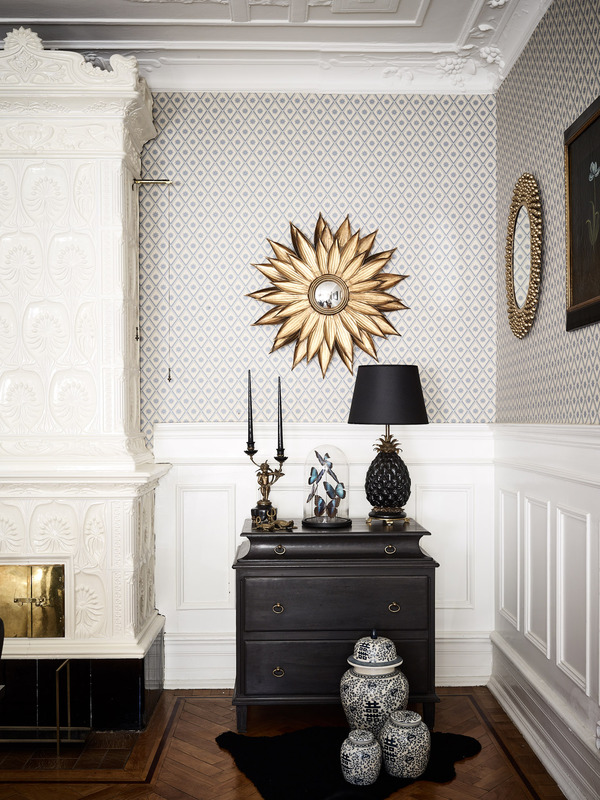 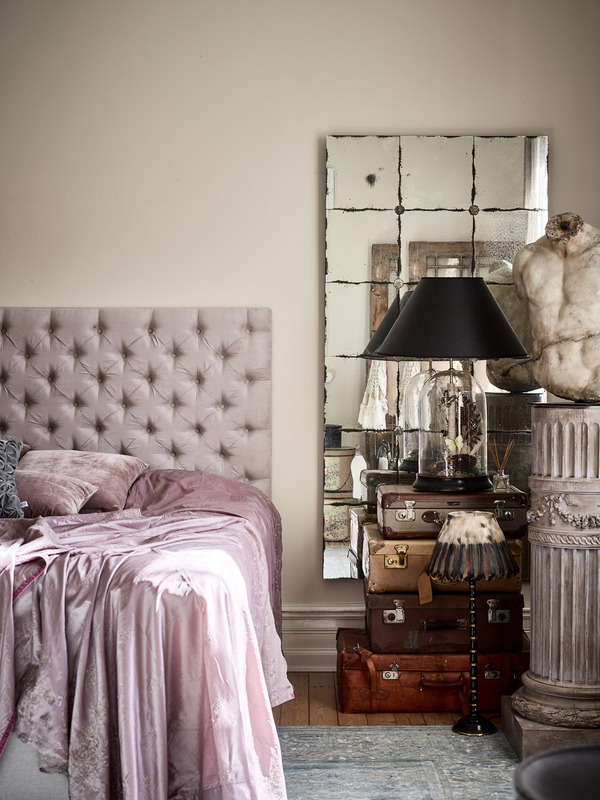 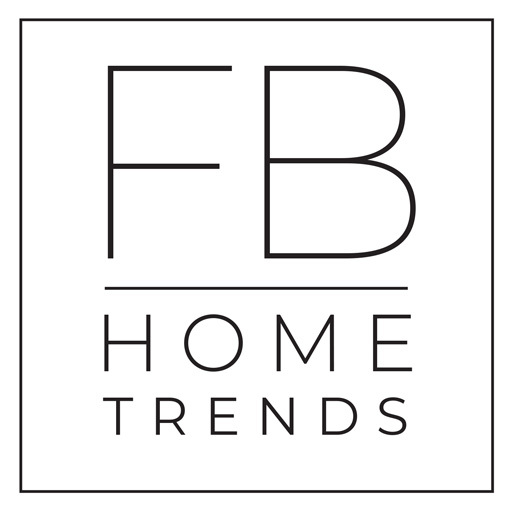 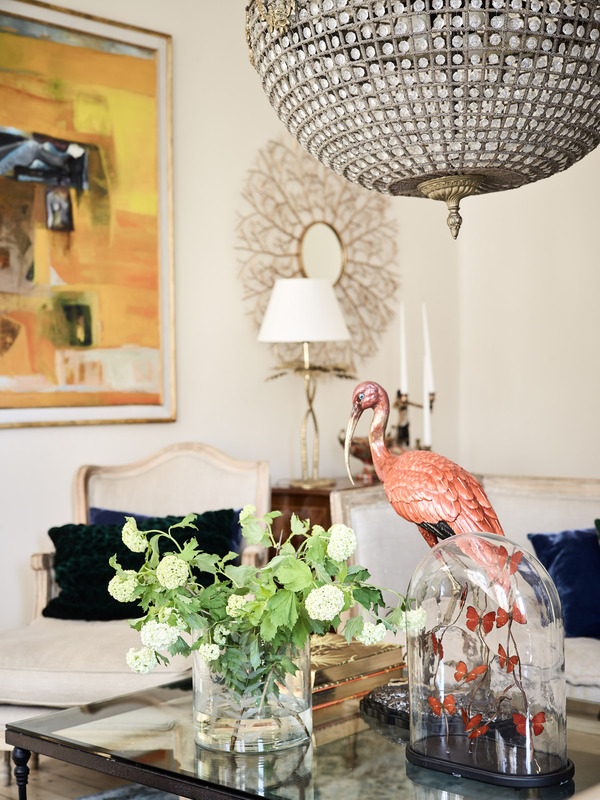 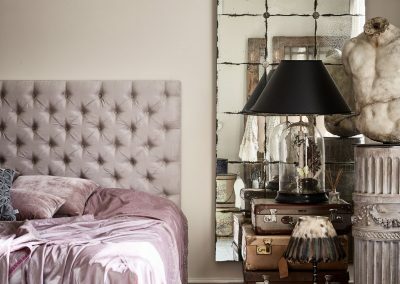 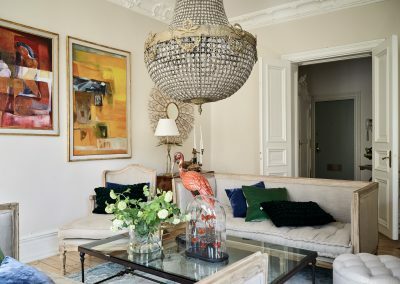 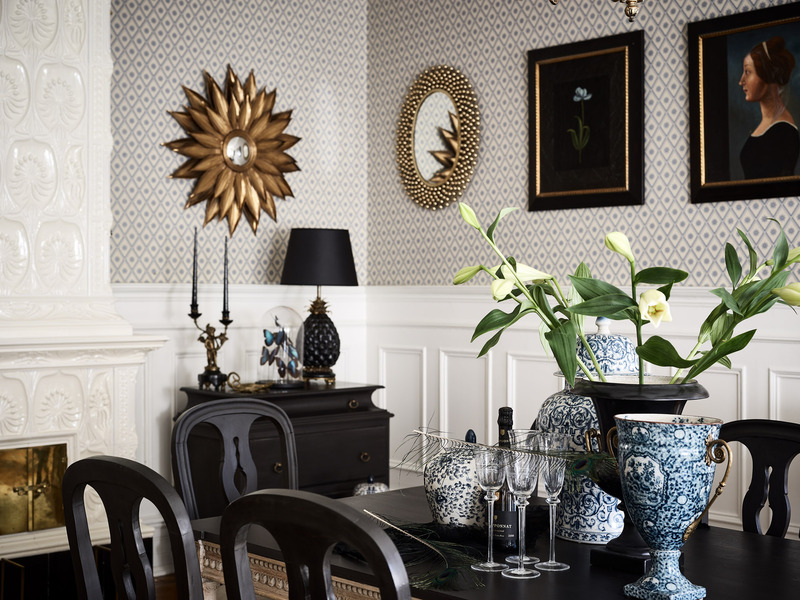 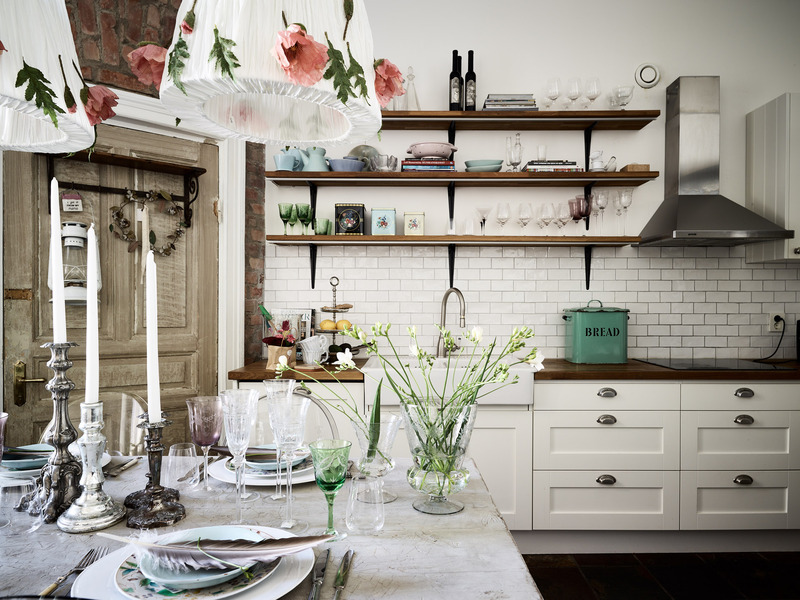 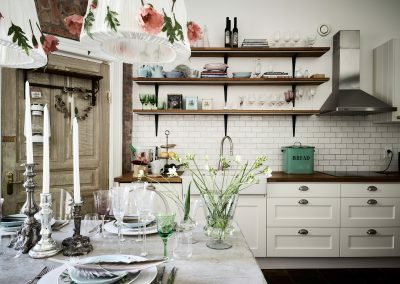 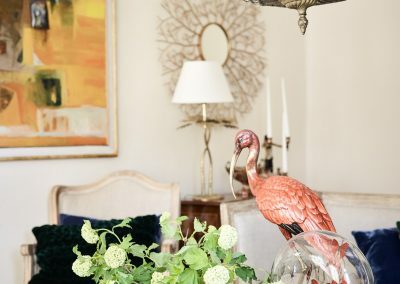 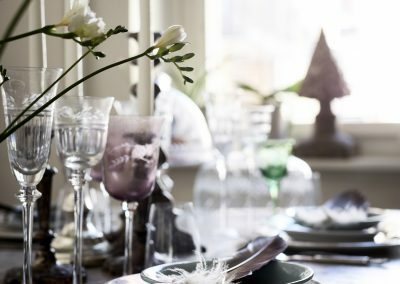 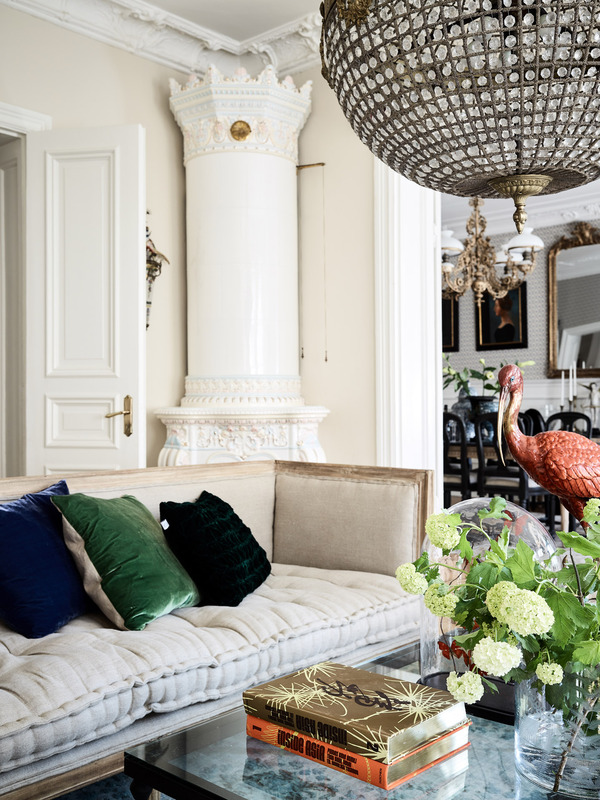 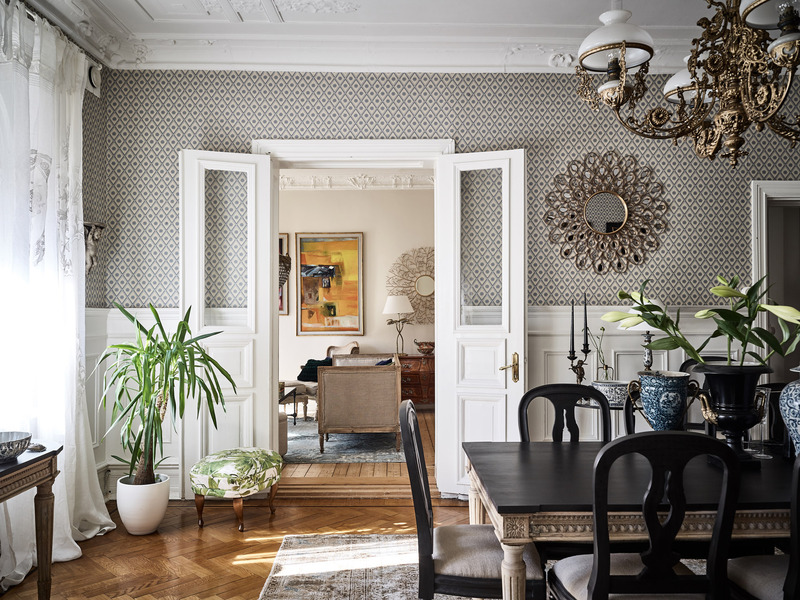 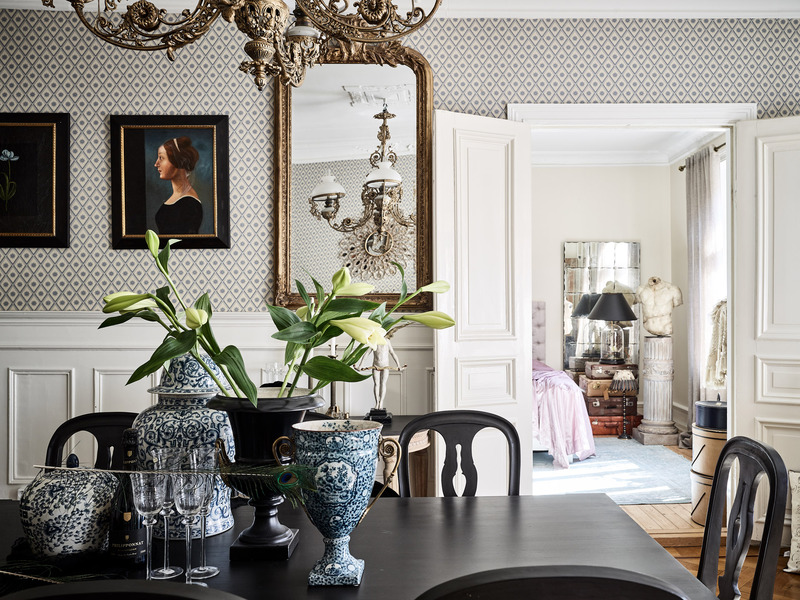 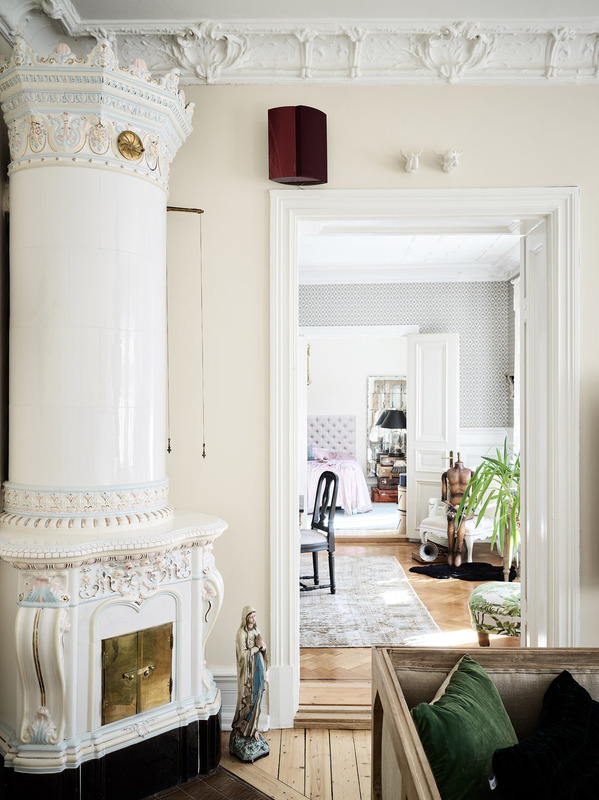 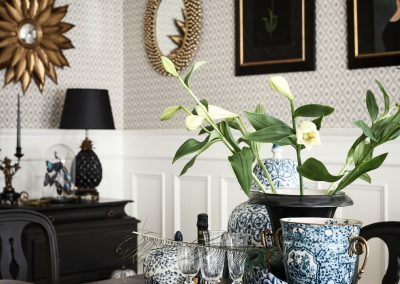 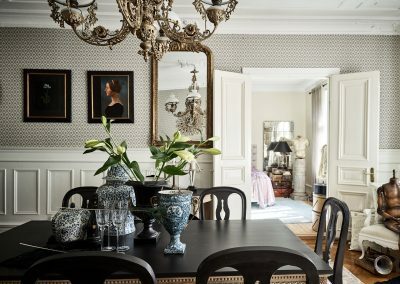 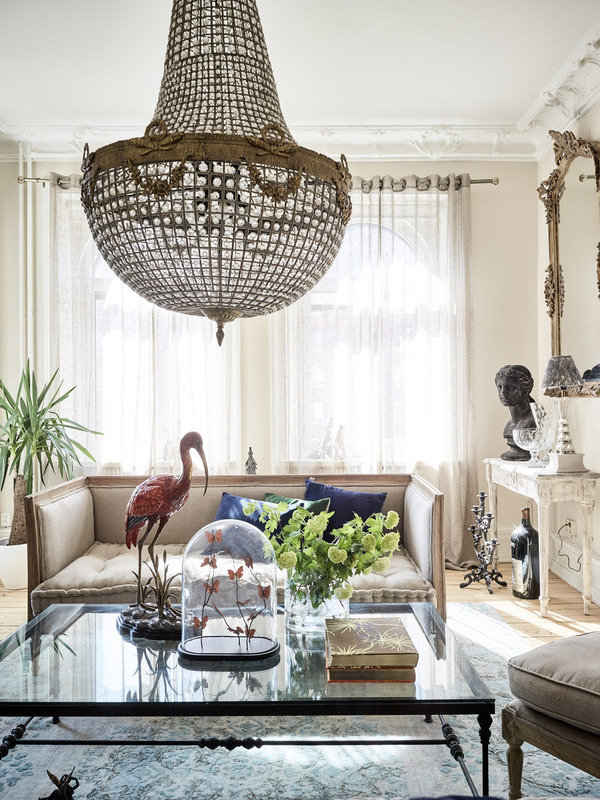 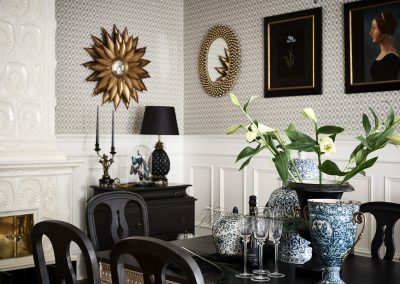 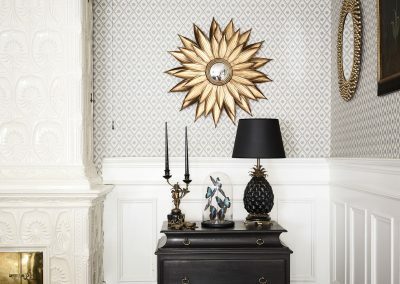 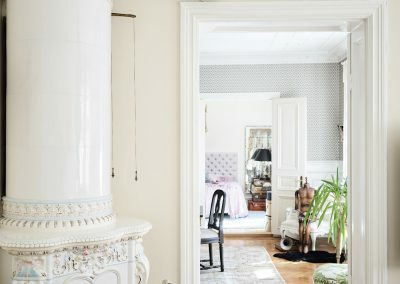 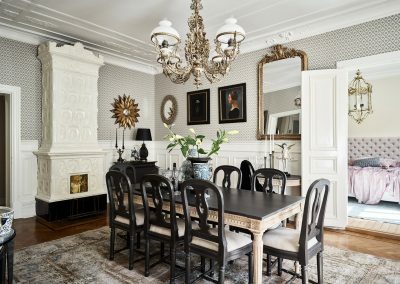 With a bright and natural color palette it successfully merges together the Scandinavian, modest style with French vintage glamour and extravagance; a perfect match and oasis for the owner who is passionate about historic and unique interior pieces with strong character. 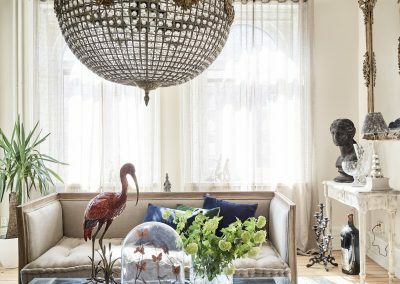 Without a question this 165sqm apartment has transformed into something magnificent and unique, a true reflection of its owner.